First work package, ”Possibilities and Solutions of Smart Urban Ferries” will focus on creating an open innovation platform, cooperation between partners and concept development for Smart Urban Waterways. The aim is also to generalize and widely promote the usage of results. As a result of the whole project an information package ”Possibilities and Solutions of Smart Urban Ferries” will be created. Another work package, ”Smart Environmentally Friendly and Effective Ferry” will focus on the development of an automated passenger ferry as well as research and tests of technical and safety solutions. This work package includes innovation, research and testing of remote control and remote operation of an automated ferry. A new concept of Smart Pier/Quayside will be innovated and developed. This work promotes the cooperation of technology companies, authorities and experts. The development of smart, adaptable and easy flowing urban waterway traffic demands a common innovation process between technology companies, service providing and purchasing companies and end users. Workshops and a common platform in social media leads the innovation process. Feasible ideas will be further developed. The workshops focus on the companies which during the process generates new products and services or find new solutions for their own product development process. As a result of this task an open innovation platform with fresh ideas will be created. 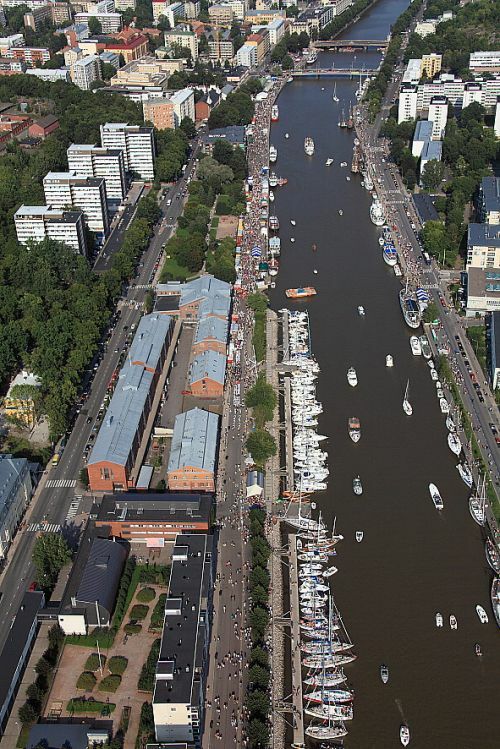 During this task concepts and services of smart urban waterway traffic will be developed. The final selection of the whole consortium of participiants will be done via system analyze. Concept development will focus also on technical matters, use Case -scenarios and operation areas. Examples of researched areas in Turku region is Aurajoki, Hirvensalo and Ruissalo, and in Helsinki and Espoo region Vallisaari, Melkki and other possible areas. The developed concepts will be evaluated by experts and user panels. Created concepts will be usable for development processes and in planning of waterborne city traffic systems. In this task the safety of autonomous ferry will be evaluated and a risk analysis of the vessel operation will be carried out. Previous surveys will be studied and reviewed in cooperation with experts, authorities and technology companies. The aim is to create a new approach method for similar projects in the future. Results will be published in the total information package of the project. During the project different energy solutions of a smart city ferry will be researched by comparing e.g. electrical, hybrid and bio fuel solutions. The selected solution will be designed and researched in cooperation with companies. Also the reliability of energy source and remote control of the system are to be researched. The selected solutions will be further developed and tested with the companies. As a result, an information package of energy solutions will be created. Automation, sensor technology, remote control, data transfer and ICT-security will be surveyed, researched and tested in cooperation with technology companies. Environment for automation and testing is aimed to build as much as possible on presently operable vessels, control stations and systems. Remote control and remote operation will also be tested in simulation environment at Novia. The approach of remote operation and testing will be documented in the project information package. In this task the aim is to find out ideas and concepts of a smart quayside for the traffic of an autonomous ferry and more widely for additional services. Design engineering of the pier concentrates on e.g. ticket sales, access control, accessibility of disabled, safety aspects and also on transferability of the pier. Concept specification of smart pier will be a result of this task.